(MISSISSAUGA) — Subaru Canada, Inc. (SCI) today announced the release of its 2017 Subaru BRZ 稲妻 Inazuma Edition. This limited volume sports coupe derives its name from the Japanese word for lightning, which describes its capabilities perfectly. 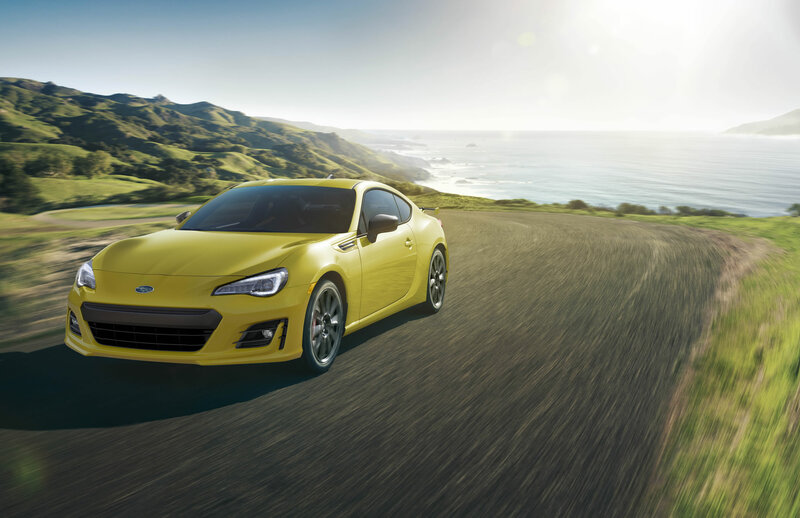 On top of all the features that make the 2+2 BRZ so sought after, the 稲妻 Inazuma Edition boasts several exclusive performance upgrades, such as SACHS performance dampers, Brembo performance brakes designed to enhance the BRZ’s exceptional performance through improved braking and handling. The look of the 稲妻 Inazuma Edition is vibrant and eye-catching, with its custom yellow exterior contrasted by 17 x 7.5 lightweight aluminum black painted wheels, black side mirrors and black badging. The interior features Onyx black leather and Alcantara seats as well as yellow accent stitching throughout. Available for $32,695 MSRP the 2017 BRZ 稲妻 Inazuma Edition offers high-voltage handling and performance and will be available in limited quantities in early 2017 throughout Subaru dealerships across Canada.